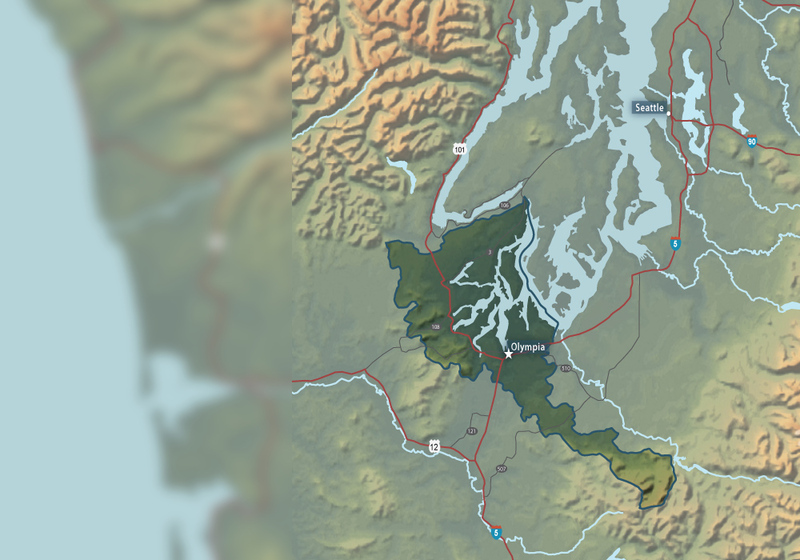 The Goldsborough-McLane Watershed is in an area of Mason County experiencing rapid urban growth, with Goldsborough creek itself flowing through downtown Shelton and into Oakland Bay. 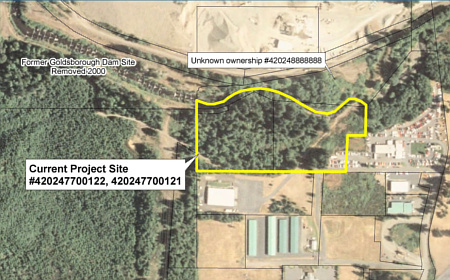 Restoration projects along Goldsborough Creek have included removal of a dam, revegetation of the dam site, installation of weirs for salmon, and rehabilitation of riparian forestland. 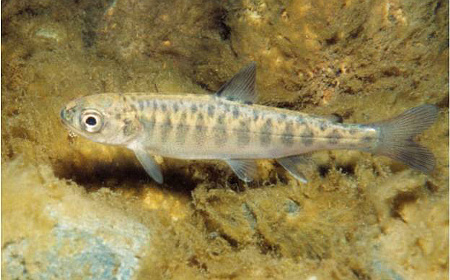 Malaney Creek is another salmon-bearing stream that flows into Oakland Bay from the opposite shore. 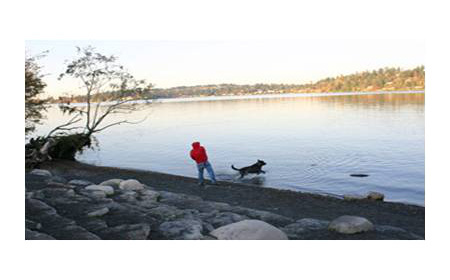 Efforts are being made to preserve intact marine shoreline, restore riparian forests and establish educational facilities on the property. 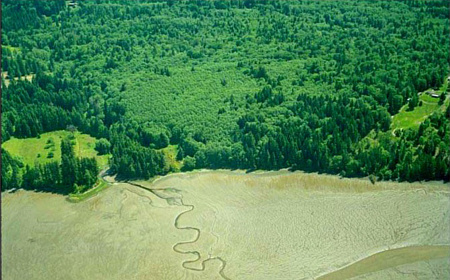 This aerial photo shows the pressure placed on Goldsborough Creek by urban growth, as well as whitecaps on the creek created by weirs. 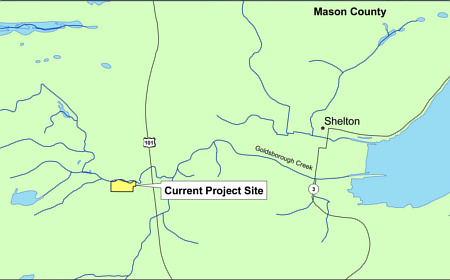 This map shows the location of the Hilburn Preserve along Goldsborough Creek and its proximity to both US Highway 101 and the city of Shelton. 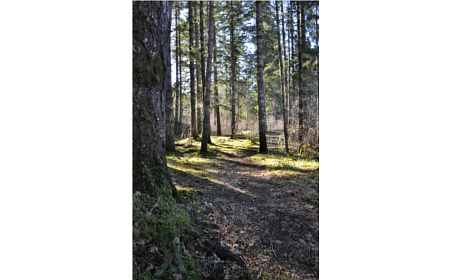 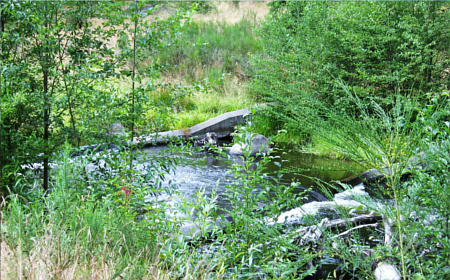 A network of paths through the property provide visitors with easy access to Goldsborough Creek to watch salmon spawn. 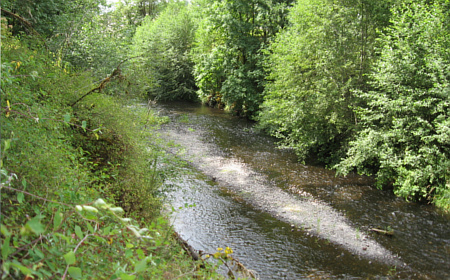 Goldsborough Creek is a cool, fast-flowing stream with gravel beds and riparian forests that provide in-stream and riparian habitat. 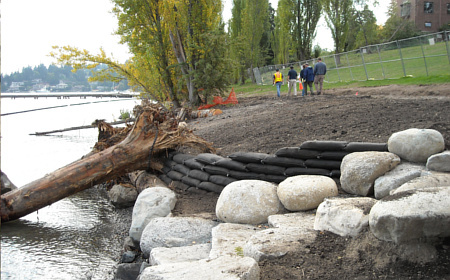 Weirs put in place after the dam removal allow salmon to swim up the fast-flowing creek. 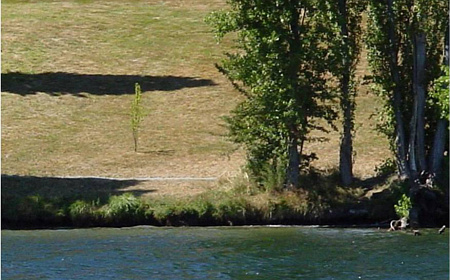 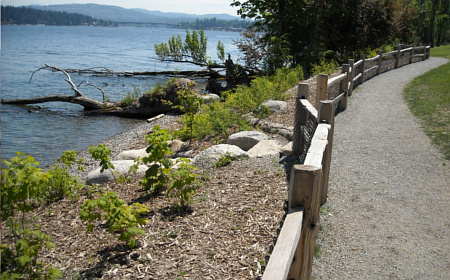 Malaney Creek flows through deciduous forests and past a public park as it outlets into the mudflats of Oakland Bay. 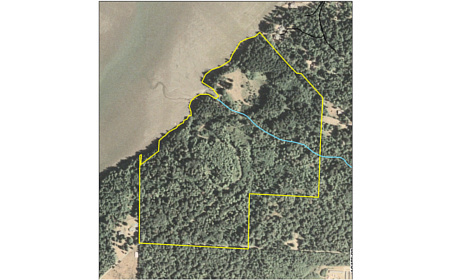 This aerial parcel map shows the cleared area of public park and the route that 3/4 of a mile of Malaney Creek takes through the Oakland Bay property. 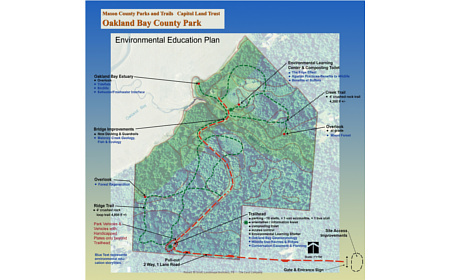 A map of trails and educational facilities help to illustrate Mason County's plans for a public park on the property. 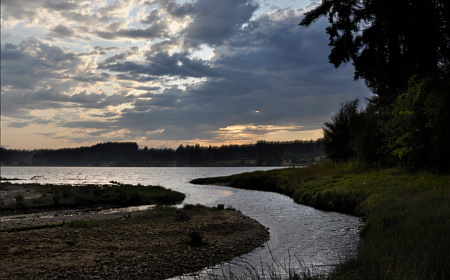 Malaney Creek meets the salt water of Oakland Bay as it flows through estuarine habitat. 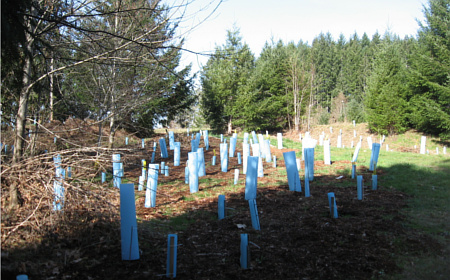 Bright blue plant tubes and the trees they protect were planted as part of a restoration project to strengthen the riparian buffer along Malaney Creek.